Julius W. Ippel was born August 30th 1861 in West Bend Wisconsin to German Immigrants George and Agnes Ippel. 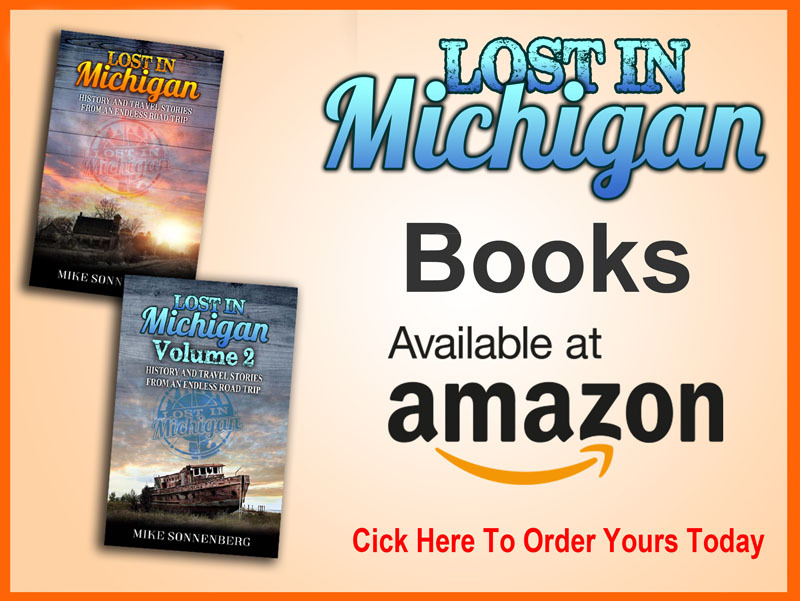 Julius moved to Saginaw with his parents when he was young, and grew up and attended school in Saginaw. 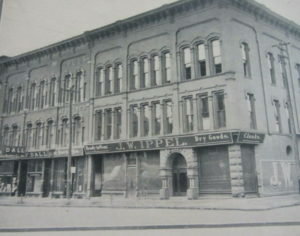 He eventually became the manager for J Bauman, a west side Saginaw merchant and continued to work for him for 8 years. 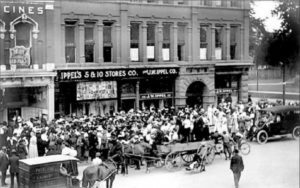 With the knowledge he learned, he opened his own dry goods store and In 1905 Julius Ippel moved his dry goods business into the building on the corner of Court and Michigan that was built by lumber baron Thomas Merril. After J. W. Ippel passed away in 1922 his 3 sons inherited the store running it until 1980 when Julius Ippel’s granddaughter Sally Hains purchased the store from the 3 brothers. The store was know for “cash cars” that ran along tracks carrying money and receipts to the office. In 1948 the system was replaced with pneumatic tubes. One thing I remember about the Ippel building was it’s light green color and the round “port hole” windows that faced Michigan, I am not sure why I remember them but I guess its because you don’t see too many round windows in buildings. 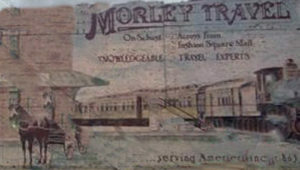 The most vivid memory I have is the Morley Mural. After the tragic loss of the Fordney Hotel in 1991 an artist was commissioned to paint a mural on the back of the Ippel building. At that time I was working in Old Town and I remember watching the artist hanging from scaffolding painting the mural all summer long. Sadly on a cold day in January of 2002 the Ippel building had a devastating fire and it had to be demolished. 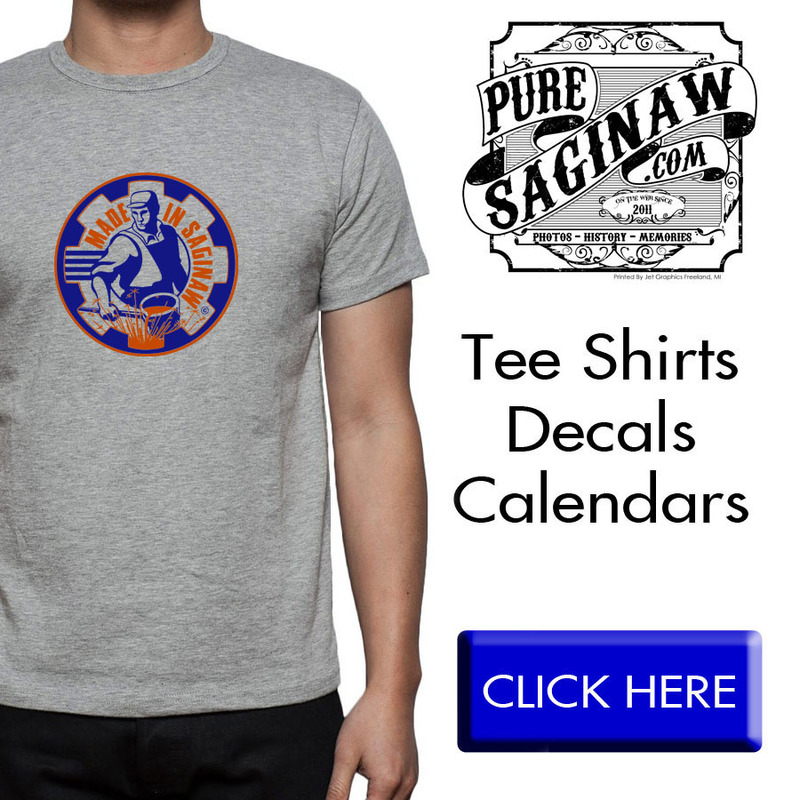 One of Saginaw’s oldest buildings and a wonderful work of art was gone forever.